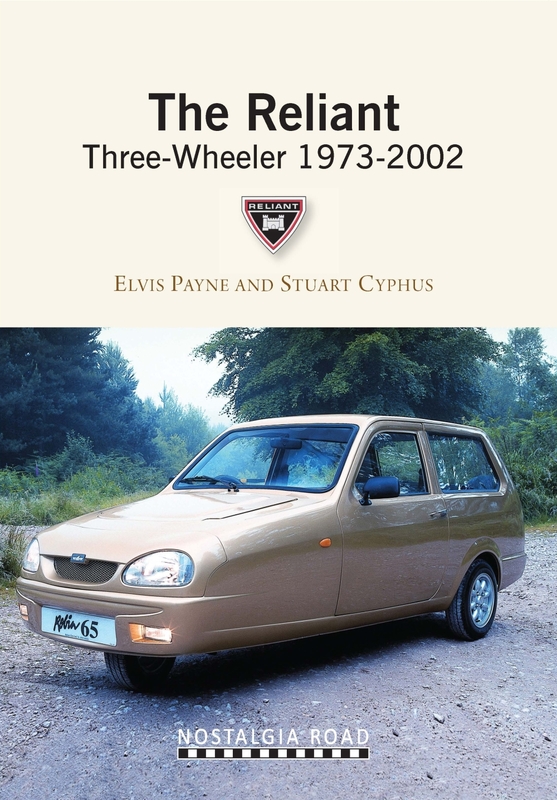 The Reliant Three Wheeler 1973-2002 by Elvis Payne and Stuart Cyphus is a comprehensive history of t..
1973 heralded perhaps the most iconic Reliant of all, the Reliant Robin. Built on new assembly lines, production was so rapid that the Bond Bug was halted as the Robin swallowed up additional factory space. With its new 750cc OHV engine the Robin set new levels of comfort for the Reliant 3-wheeler and was soon uprated with an 850cc engine. New commemorative Jubilee and GBS models of the Robin also appeared. The 1980s saw the wedge shaped Reliant Rialto emerge with a Rialto 2 hot on his tracks fitted with a HT-E engine. The Robin name came to the forefront again a decade later when it was re-introduced with the LE Ninety Three and Diamond special editions. 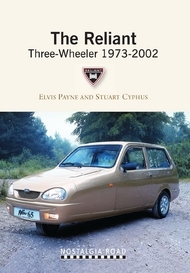 A new Bond Bug – The Sprint – emerged in the 1990’s but failed to make production. Reliant were now struggling to survive despite numerous take-overs and former owner Jonathan Heynes describes his time with Reliant between 1996 and 1998 just before the stylish Mk 3 Robin was introduced to take Reliant into the new millennium.